Living and breathing beauty and hair, lookfantastic.com is the online home of some of the biggest luxury brands in the business. Boasting Redken, Kerastase, ghd, Aveda, Clarins, Benefit, Tigi and Elizabeth Arden as part of their 10,000 strong product offering, lookfantastic.com is a first rate shopping experience, with some of the most competitive prices on the web. A platform for more than just retail, lookfantastic.com and has evolved into an online community with its 1.4 million members enjoying topical monthly features, celeb gossip, guest editors and frequent updates via a brand new blog, twitter and facebook. 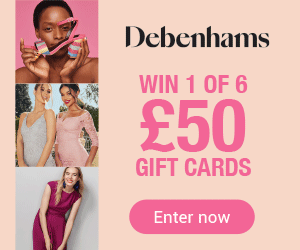 Mix all of that with phenomenal promotions, exclusive offers, competitions and member discounts and you start to see why customers are reluctant to shop elsewhere. Looking for a gift that gives someone the choice to get what they really want? The One4all Multi-Store Gift Card can be spent in over 22,000 outlets, including lookfantastic.com! 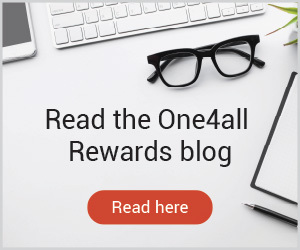 Give the gift of choice with a One4all Gift Card.